1 photograph : b & w ; 4 x 6 in. Ed Armstrong, son of Susan and Thomas Armstrong, in World War I uniform. 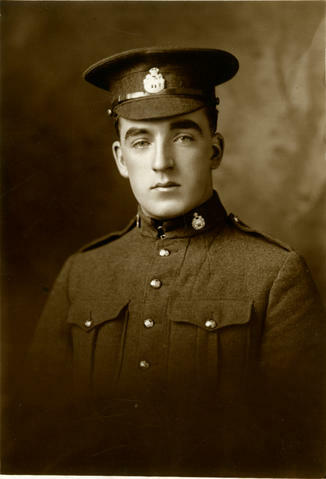 Ed arrived in the Peace Country in 1914 and enlisted in World War I.